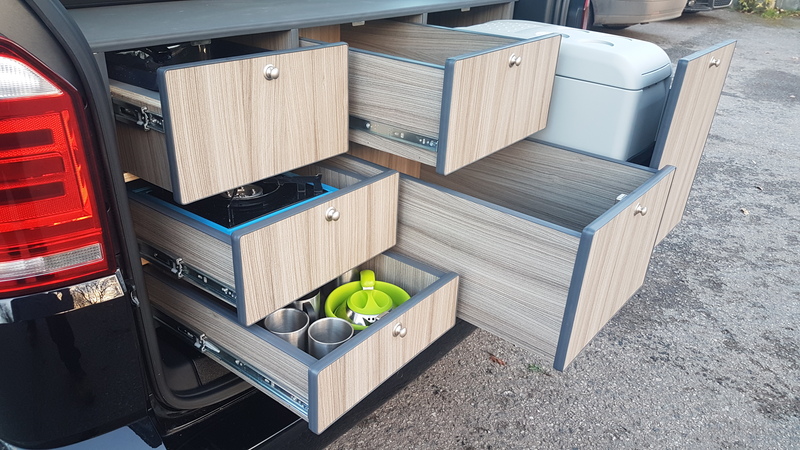 Our Standard but beautiful interior system, featuring Webasto Cruise 49 12v fridge, Smev hob/sink unit, copious amounts of storage space, full leisure electrics. Based around a RIB 112cm Bed. Available as a 2 or 4 birth with a selection of Pop-top roof options. The Flatliner is all about flat surfaces. If you don't need a wardrobe in your unit system this arrangement is for you. 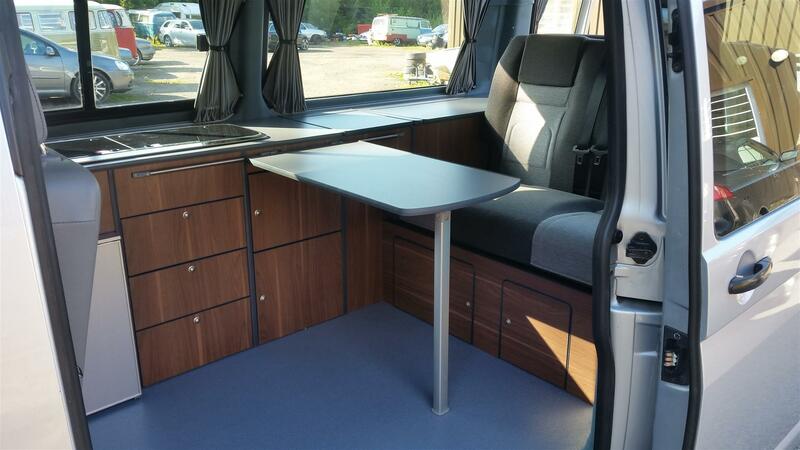 Incorporating all the usual features of a camper conversion. Built with a RIB bed in mind. The Ultimate in flexibility to enjoy the outdoors. 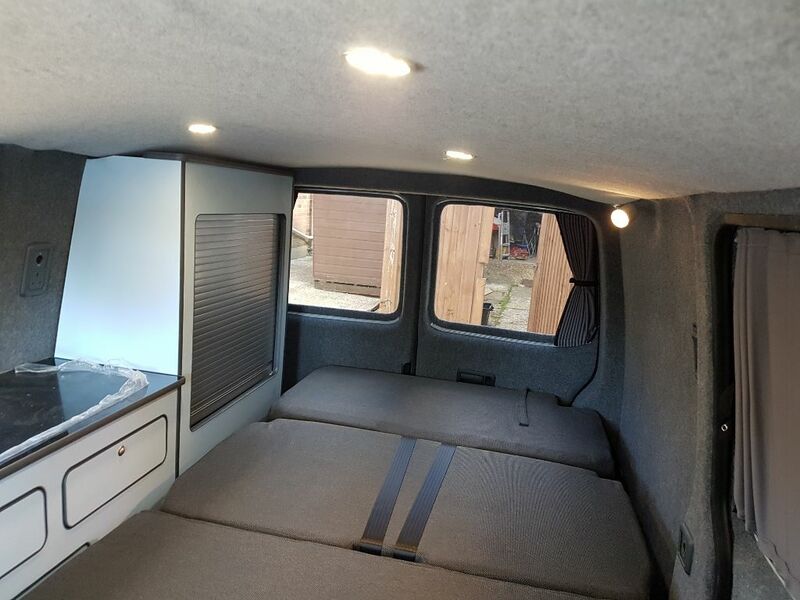 This conversion is great for vans with twin sliding doors, it features a removable kitchen area that can be used inside or outside of the van, removable R&R Bed made by Bebb and Hilo roof with Scenic Canvas. 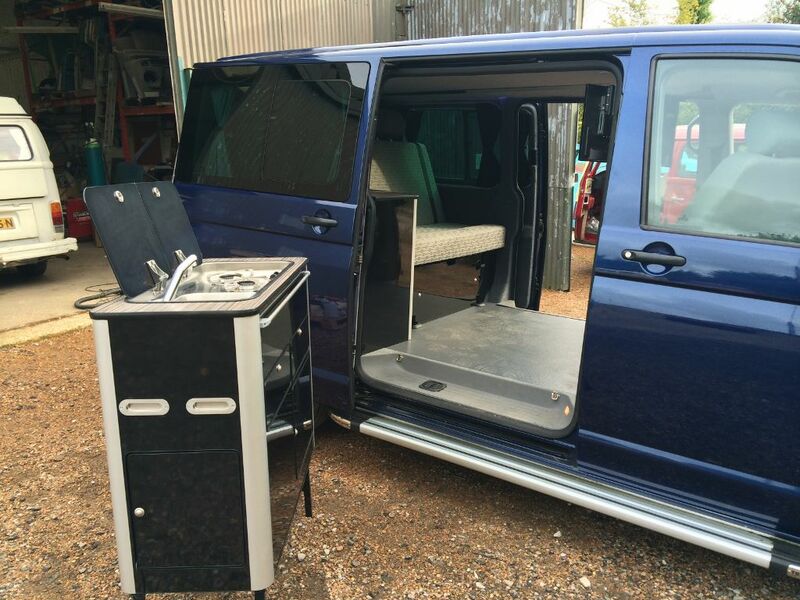 Designed specifically for the VW Caravelle or California Beach, this compact unit system forms the rear part of your full width bed, as well as houses a camping stove, 12v powered cool box, water tank and tap, as well as huge amounts of storage space. 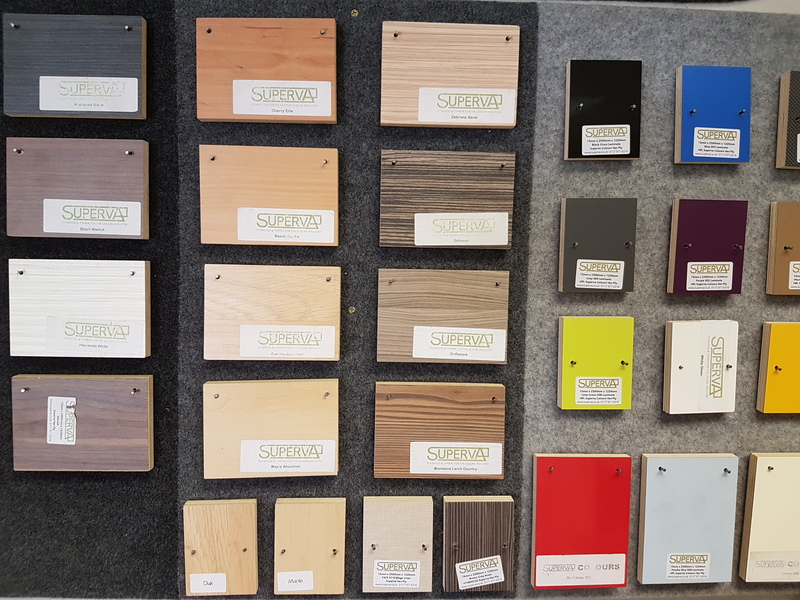 Looking to personalise your units, then take a look through our range of available lightweight plywood.